Beckett Baseball - Get your first issue delivered within 7 days! 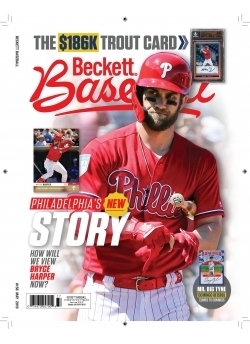 You are here: Home > Magazine-Subscription > Beckett Baseball > Beckett Baseball - Get your first issue delivered within 7 days! Baseball Price Guide of more than 200 pages of values for past and current releases. The Hot List featuring the top 20 baseball trading cards in the market. More than 200 pages of values for past and current releases.